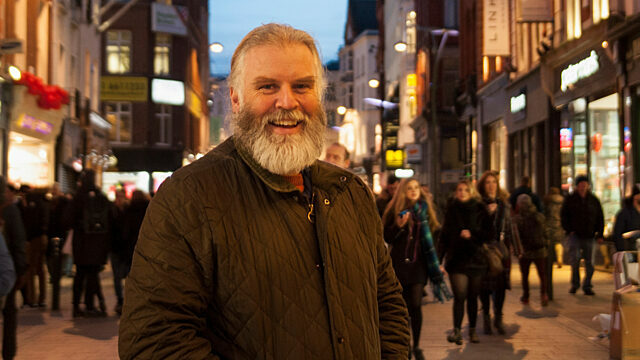 For over twenty years, Mick has been guiding groups and creating itineraries in French and English across Ireland and the UK on land and by sea. He regularly works with many companies governmental agencies promoting Ireland abroad. His expertise, care, hospitality was recognized by the Irish Government with a National Award for his “exceptional contribution to the Irish Tourism Industry”. Mick is a published international photographer. He is the tour photographer for the Dublin Philharmonic Orchestra’s most recent tours of USA and China. His photographic book Illuminations is used by Irish embassies to promote the beauty and diversity of the island of Ireland. His touring exhibitions have been displayed by the Museums of France and seen by over 300,000 people. He has worked with many multinational companies including Adventure Canada in Ireland, Scotland, and the High Arctic as their onboard photographer.